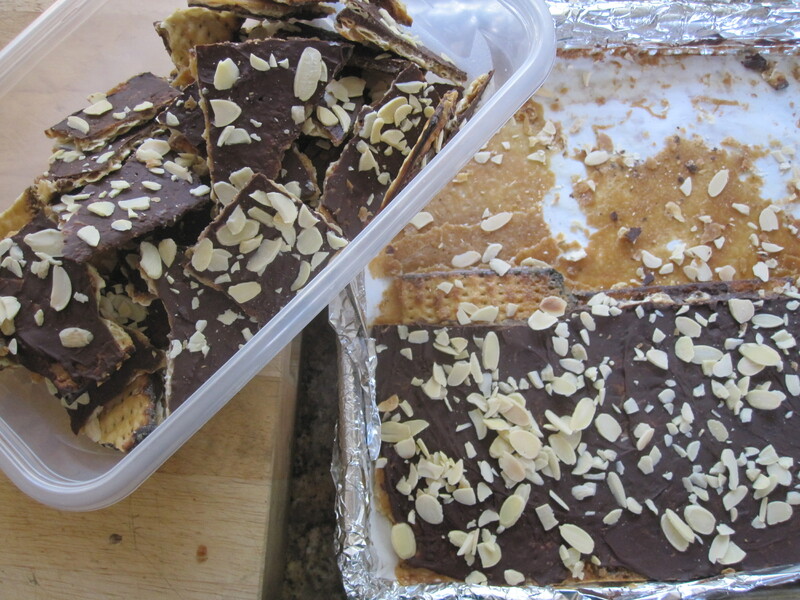 Matzo Crack (aka Chocolate Caramel Matzo Toffee/Brittle/Crunch | eat. cook. blog. Whatever you call this Passover confection, most of the recipes involve the same basic ingredients – matzo, brown sugar, butter and chocolate. I use Smitten Kitchen’s recipe (which she says she adapted from “David Lebovitz who adapted it from Marcy Goldman who is the genius who first applied this to matzo”) and we just call it Matzo Crack because, well, uh it’s pretty addicting. I made a couple of batches for Passover and the leftovers were in a huge Ziploc bag in the fridge and every single time I opened the fridge I’d take a piece (or two). It was becoming a problem. Thank goodness for the monthly work potluck! Needless to say, now all my coworkers are addicted. Everyone loved it. Many didn’t even realize there was matzo involved. 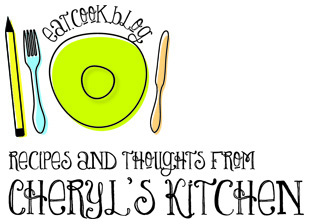 And they begged me to put it on the blog. So here it is. It’s unbelievably easy. I’m tellin’ you, it’s so good, it doesn’t have to be just for Passover. In fact, SK says try it with saltine crackers. Oh boy. I’m in trouble. Line an 11-by-17-inch baking sheet completely with foil, and then line the base of the foil with parchment paper, cut to fit. Line the bottom of the baking sheet with matzo. You’ll need to break pieces to fit in extra spaces. Bake the caramel-covered crackers for approximately 15 minutes, watching carefully as it will bubble and the corners might darken too quickly and/or burn. You can reduce the heat if you see this happening. Remove from oven and immediately cover with chocolate chips. Let stand five minutes, and then spread them evenly across the caramel. An offset spatula works great here. If you’re using them, sprinkle the chocolate with toasted chopped nuts and/or sea salt. Once completely cool — I sometimes speed this process up in the fridge, impatient as should be expected in the face of caramel crack(ers) — break it into pieces and store it in a container or Ziploc in the fridge. It’ll keep for as long as you can avoid eating it all.